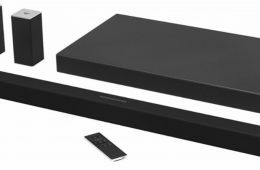 Hot on the heels of VIZIO SB36512-F6 Sound Bar that I recently reviewed comes their flagship Atmos-capable sound bar system – the SB46514-F6. Can you get Dolby Atmos from a 36” sound bar? VIZIO says yes and proves it with the SB36512-F6 36” Sound Bar. Lally columns. Now there is a topic you don’t see discussed on A/V websites every day. While I love the sound quality that a full-bore home theater system offers, sometimes all a user really needs is simplicity. Whether for a bedroom system, or a small family room or den, sound bars answer the call of many users by offering good sound and great ease of use in a very cost-effective package. The Vizio SB4051-D5 Sound Bar System takes things a bit further, as it is a true 5.1 channel package with a dedicated subwoofer and real surround speakers. I know many audiophiles who have ditched their analog-based music setups and gone strictly digital. Whether that means entirely computer-based (be that MAC or PC), network-attached storage (NAS)-based, large racks of round plastic discs (CDs), or a combination of the above, these folks no longer use a single analog-based device. Their music lies entirely within the realm of zeros and ones. It is for this customer that McIntosh has designed their new D1100 2-Channel Digital Preamplifier. In an effort to bring the critically-acclaimed sound quality of their Focus SE speakers to a larger audience, Legacy Audio has created the Signature SE Tower Speaker. Sporting very similar drivers in a smaller cabinet, the Legacy Audio Signature SE strives to bring the big Legacy sound to those with smaller rooms or a lower budget. Renowned Italian speaker manufacturer Sonus faber, famous for producing stunningly beautiful (and expensive) hand-made speakers, has come to the table with their first true budget speaker line – the Principia. On hand for review here is the Principia 3, the larger of two bookshelf models in the line. Back in April, I received a press release from the famed Italian speaker company, Sonus faber that really raised an eyebrow. 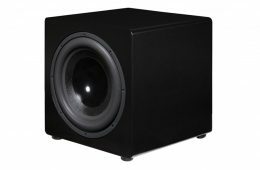 One of the original Internet-direct subwoofer manufacturers, Hsu Research is well-known within the home theater and audio community. For over 20 years, their products have been leaders in the realm of high performance for relatively low cost. On hand today is the new ULS-15 MKII – a sealed subwoofer with a large 15-inch driver.